A study by Glassdoor found that the interview process got longer last year. The Society for Human Resource Management (SHRM) accounted the rise in process times to company procedures, regulations varying across industries, and the lengthy endeavor that background screening and identity verification can be when it’s poorly managed. Hiring the best person for the job must be quantified against both the cost and the timeof the process itself. Industries such as healthcare, higher education, and technology require extensive interviews and license verifications on top of resume screening, interviews, and background checks. One way to streamline your onboarding practices is through automation and the integration of AI technology into your recruitment and background screening programs. Unless your company screens with a third-party provider that guarantees stellar turnaround times, background screening remains one of the lengthier portions of the hiring process—but it doesn’t have to be that way. Lowering turnaround times while maintaining the reliability of the information is key. The background screening process was revolutionized by the development of biometric identity authentication used specifically for the candidate’s application process. InfoMart’s ASAP ID directly responds to the problem Glassdoor recognized at the end of 2017. A mobile application biometrically verifies government identification documents, and the data captured by that process automatically initializes a background check. The entire process is mobile-friendly, allowing applicants to verify their identity and request a background check anywhere in the world. Incorporating technology like ASAP ID into your company’s screening program streamlines the onboarding experience and decreases the time-to-hire. Every blog will tell you that AI and automation software is minimizing the time-consuming mundanity of clerical work, and HR and recruitment is no different. No matter the size of your company, technology is changing the way we understand hiring. New interview solutions from startups such as Headstart App and Canvas re imagine the hiring process with the assistance of technology. Canvas initiates a text message pre-interview, decreasing the likelihood of unintentional face-to-face bias and allowing candidates who don’t interview well to stand out. Not only does this technology forefront the importance of a positive candidate experience, but it also speeds up the pace of traditional interviews. This is just one example of AI pervading the standard business model. This introduction of AI as the initial point of contact for candidates brings up new challenges in identity verification. It is easy for strangers to masquerade behind a computer screen. 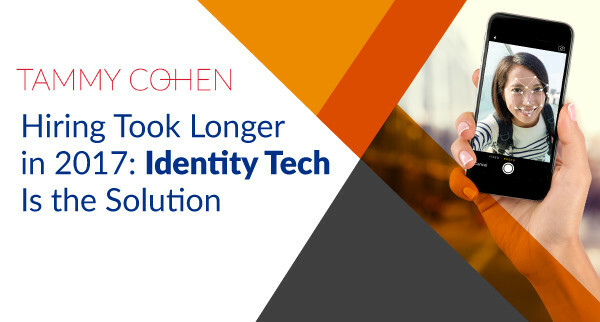 Automatic identity verification solves the problem without sacrificing the efficiency that drives companies to consider these innovative options in the first place. There is no excuse for operations slowing down as markets speed up. Today’s technology should be cutting recruitment practice times in half. Integrating a similar identity authentication program into your own business plan could be beneficial for your company as well. For a well-established program, take a moment to learn more about biometric identification software, ASAP ID. Like this blog? You’ll love 6 Ways AI Will Change Your HR Department.